Author Todd Rose argues that nobody is average. 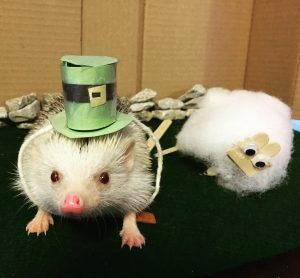 We all have unique, jagged strengths and weaknesses. Consider this example. A student takes a standardized test and the results show an average score. As you can see from the table below, this student is not uniformly average in all subjects. This student is above average in encoding and visual puzzles but below average in vocabulary. This student has some clear strengths and one area that needs attention. A one-size-fits-all education really fits none. 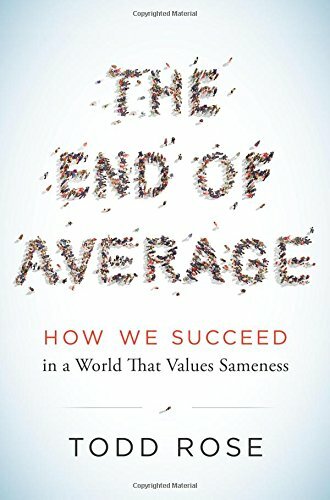 The End of Average discusses how we have arrived at blindly accepting the lie that the average is a valid tool for creating policy. I thought the sections on genes, traits, Quetelet’s social physics, and Taylorism were particularly interesting. The rise of standardization in American culture was slow, but it has a strong foothold in our educational and business systems today. As a music teacher, I understand the value of a personalized education. Students come to me with unique problems, natural talents, and resources. Some have musical parents; others are the first in their families to study music. Some have natural vibrato; others require years of systematic instruction to learn the skill. Because I work with each student individually, I adapt my teaching. This makes taking private lessons so different than self-directed learning from a book or instruction in school band/orchestra. My children are fortunate to be in a school system that allows teachers flexibility with the materials they use in the classroom. Through projects, the kids are allowed to choose the direction and intensity of study. For example, my daughter is working on a detailed diorama of Ireland, (shown here with our hedgehog dressed as a leprechaun.) My son who was in the same class last year, chose to write a report for that project. They have different interests and skills, but project-based learning allows them to maximize their jagged learning profiles. Online instruction has offered my son the opportunity to work ahead in math. An online math program allows him to take tests in various math concepts. If he passes the test, he can move onto the next subject area. When it’s new material, the program slows down and teaches him the concept, adding drills until the material is mastered. As parents, we are thrilled that he doesn’t have to complete worksheets on things he already knows. It’s this kind of dynamic, individualized learning that maximizes learning and minimizes frustration. Rose’s book has opened my eyes to the times I have taken the average for granted. From now on, I’m will be much more suspicious when reading articles that try to apply generalizations to specific people. Consequently, I will take another look at the brain scans referenced in Brain Imaging on Musicians, but I hear the school bus… so that will have to wait for now.